A map of the Wilshire Center and Koreatown Recovery Redevelopment Area survey area, roughly bounded by Hoover St. (east) 12th St. (south), Wilton Pl. (west) and 5th St. (north) with northerly extensions along Vermont Ave. and Western Ave.
A mosaic is a good metaphor for thinking about how SurveyLA works. Just as a literal mosaic is a whole work of art created from a multitude of tiny pieces, SurveyLA, aims to give an overview of historic resources across the entire City of Los Angeles by putting together dozens of different components united by a common methodology. I have written about some of these parts extensively in this blog, such as the individual surveys of Community Plan Areas that are the core of what SurveyLA is doing. However, there are other pieces as well. One of the most important is historic resources surveys that were done on behalf of the Los Angeles Community Redevelopment Agency (CRA/LA). According to the SurveyLA Field Survey Results Master Report, SurveyLA field surveys do not include “Community Redevelopment Area Surveys completed within the timeframe of SurveyLA surveys” (p. 7). Traditional redevelopment agencies (RDAs) in California have been phased out in recent years. In the aftermath of the Great Recession the State opted to dissolve them in order to help address its budget deficits. The RDAs used to make investments in certain areas aimed at reducing “blight” (as defined in section 33030 et seq. of the CA Health and Safety Code) and kept a portion of property tax revenue that was generated in excess of a baseline amount in order to fund more redevelopment. RDAs commissioned historic resources surveys in redevelopment areas in order to reduce the likelihood that redevelopment would negatively impact historic resources and thus run afoul of laws like the California Environmental Quality Act. Since many of these surveys were done since the inception of SurveyLA, the areas they cover are not being re-surveyed by SurveyLA. We have recently started posting CRA surveys on our website. There are five posted so far and more to come. One of these, the Wilshire Center and Koreatown Recovery Redevelopment Area Survey is very interesting for me as a former resident of the neighborhood. 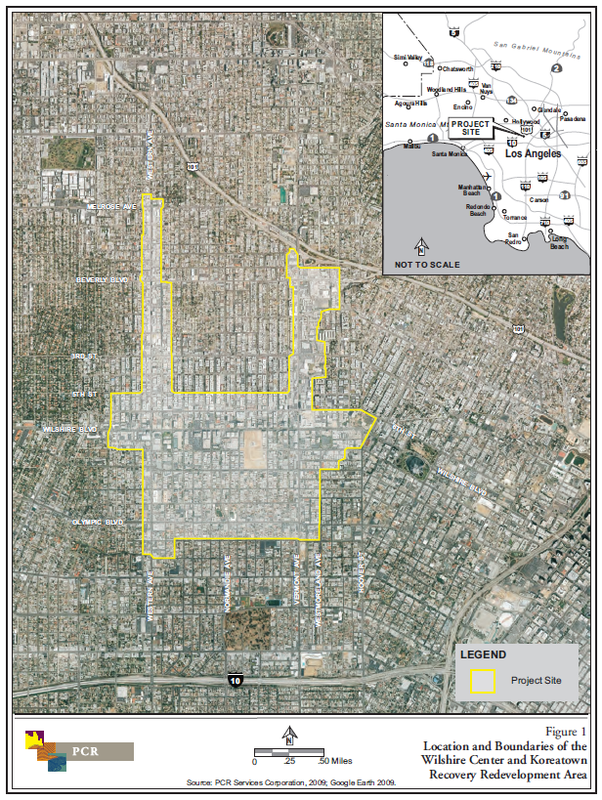 This survey area falls within the much larger Wilshire Community Plan Area that SurveyLA will be examining as part of Group 7, minus the area shown on the map above. This DPR form describes a building that was surveyed. The “NRHP Status Code” field in the upper right refers to the California Historic Resources Status Codes (which in turn are adapted from the National Register of Historic Places Codes). 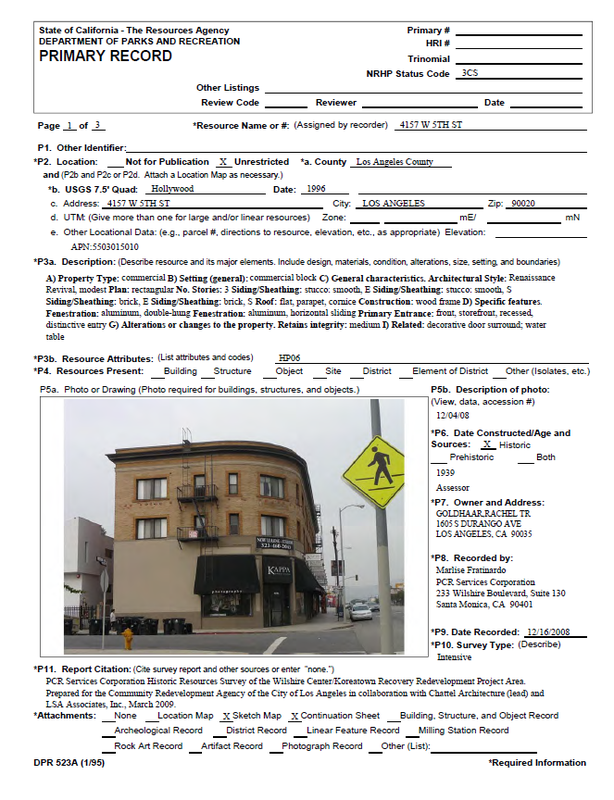 The particular code in this case, 3CS, means that this building “appears eligible for the California Register through survey evaluation.” In addition to the photo and basic location information, the completed form includes a detailed building description, including architectural style. Although they’re a bit esoteric, flipping through the DPR forms can be a pretty fun way to get a visual sense of the built environment in an area and is also a great opportunity to match architectural style terms up with photographs. The CRA surveys are definitely worth checking out. 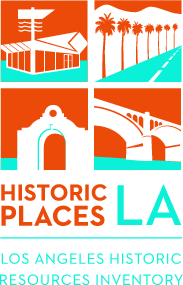 As you do, perhaps you will be inspired to share suggestions for historic places in your neighborhood with SurveyLA. There’s still a lot of survey work to do and your input is a great help! SurveyLA Historic Context Statement Narratives: Can you Help? Switching gears a bit, SurveyLA’s Historic Context Statement (HCS) is an evolving document that plays a critical role in SurveyLA’s efforts. We have a HCS outline and resource guide available online if you’d like to learn more. One challenge in a historic resources survey this large is making sure the outline is fleshed out with narratives that help survey teams properly evaluate the resources they encounter in the field. We have some narratives now (although not online at this point), but more are needed. If you have experience in historical research and writing and would be willing to volunteer your time to write an HCS narrative we’d like to hear from you. Just as the surveys themselves are a mosaic united by an overall structure and vision, so are the HCS narratives. By pulling together we can ensure that Los Angeles’ historic resources get the documentation they deserve. This entry was posted in Uncategorized and tagged CRA Surveys, Historic Context Statement (HCS), Wilshire Center / Koreatown. Bookmark the permalink.